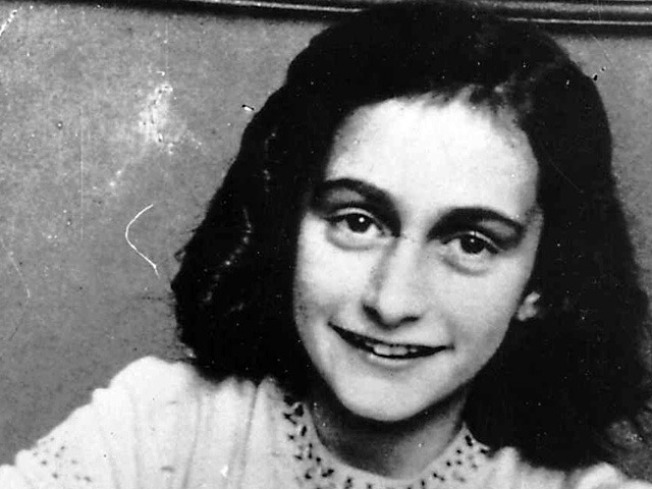 The Anne Frank House Wednesday released the only existing film images of Frank, showing the young Jewish girl, whose famous diary detailed her family's two torturous years spent in hiding from the Nazis, in a more carefree time as she watches a bride and groom from her apartment balcony in Amsterdam. In the grainy black and white YouTube video, Frank is shown leaning over the balcony to watch an eager young newlywed couple as they walk past the sidewalk adjacent to the Amsterdam apartment Frank lived in before she and her family moved into the annex behind father Otto's office to escape Hitler's regime. The July 22, 1941 video is the first-ever released film image of Frank. It was given to the Anne Frank House from the married couple, who lived on the same floor as the Franks. Frank detailed the two years spent in the annex in her diary, one of the most-published books across the world. The annex was accessible only through a movable bookcase in Otto Frank's office. Frank and her family, as well as the other family friends who hid in the annex, were captured on Aug. 1, 1944 and sent to concentration camps. Frank died just weeks before Allied forces liberated the Nazi camps. She was 16.